A renowned Riven one-trick against, well, Phreak. 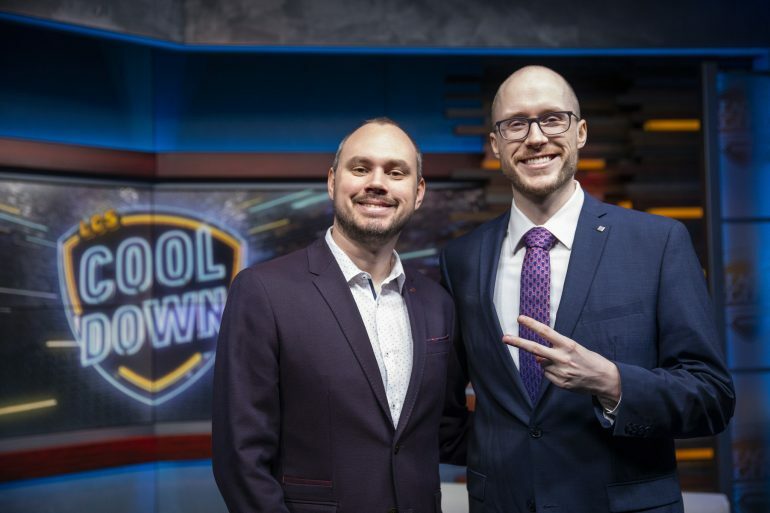 In today’s The Cooldown, Riot’s post-LCS talk show featuring David “Phreak” Turley and Isaac “Azael” Cummings Bentley, FlyQuest top laner and renowned Riven one-trick Omran “V1per” Shoura dueled Phreak in a one-vs-one on Summoner’s Rift. Phreak is a decently-high elo player, so this showdown had the potential to be competitive. The thing is, though, it was a mirror match, and both of them played Riven. If you know V1per, you know how often he plays Riven. On the broadcast, he explained that he’s probably played over 10,000 games as the exiled Noxian. Phreak, on the other hand, politely said that he has played maybe 10 games as her. The rest is a little predictable. Phreak was, understandably, given a fairly significant advantage in the fight. He had a Caulfield’s Warhammer on V1per and was level eight at the start, while V1per was only level six. There isn’t a huge difference between the two levels, aside from base stats and a couple of points put into Riven’s shield, but that’s still a significant handicap to be given. It didn’t really matter, though. After the first skirmish, Phreak was actually standing with quite a bit more health than V1per. But unfortunately for him, V1per’s big NA brain proved too much to handle. The instant Phreak entered tower range, V1per Flashed backward, stunned Phreak, and then rolled through his health bar. It was a short and tragic game, but nonetheless entertaining. V1per’s first split as an LCS starter has gone fairly well so far, not including his win over Phreak today. This week, FlyQuest dropped a game to CLG in quite a large upset, but they did manage to bring TSM to their knees with a backdoor push. Now, they hold sole possession of second place in the league with a 3-1 record.